This worldwide problem which is worse in laying birds, is a blood-feeding parasite, causing restlessness and anaemia due to blood loss. A bad case can see 500,000 million mites per bird. The parasite does not affect the quality of the egg but the laying ability and production of the hen. 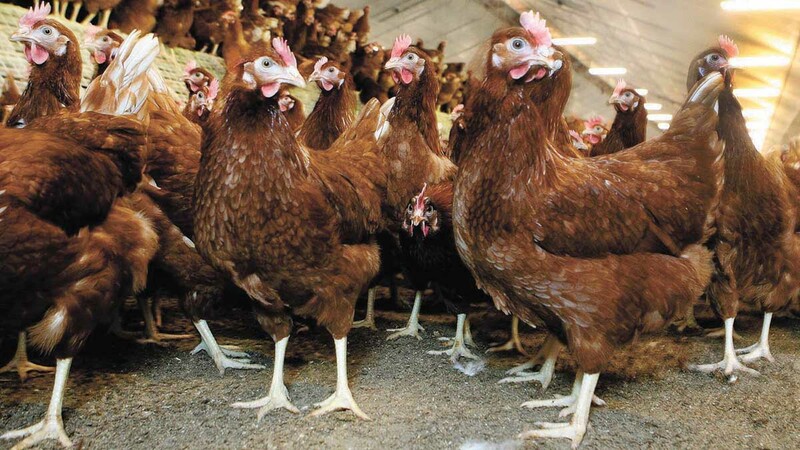 It is estimated the parasite costs €0.37 per bird per year, due to the loss of production and the cost of control. An emergence of pesticide resistance in mites has come at the same time as the drop in number of available treatment products, leading to some producers using unlicensed products to control the parasites. Vaccines always have to be tested in hens as there is no invitro test process. To suitably test the vaccine, hundreds of birds must be immunised and their building infected meaning the number of birds involved quickly mounts up, which he added they would rather avoid. “We do not want birds exposed to the mites for a long amount of time for welfare reasons and neither do not we want large numbers of bird deaths,” he said. For this reason Moredun has received a grant of £500,000 from the National Centre for the Replacement, Refinement and Reduction of Animals in Research to drastically reduce the numbers of hens required in the testing phase and to increase their welfare during vaccine development. At Moredun they are working to develop a vaccine. Dr Nisbet added: “Our work has culminated in the development of a tea-bag like prototype which is attached to the hens’ legs. Mites feed on the bag and the device is then removed. This process has seen huge reductions of the numbers of birds required in the testing process.